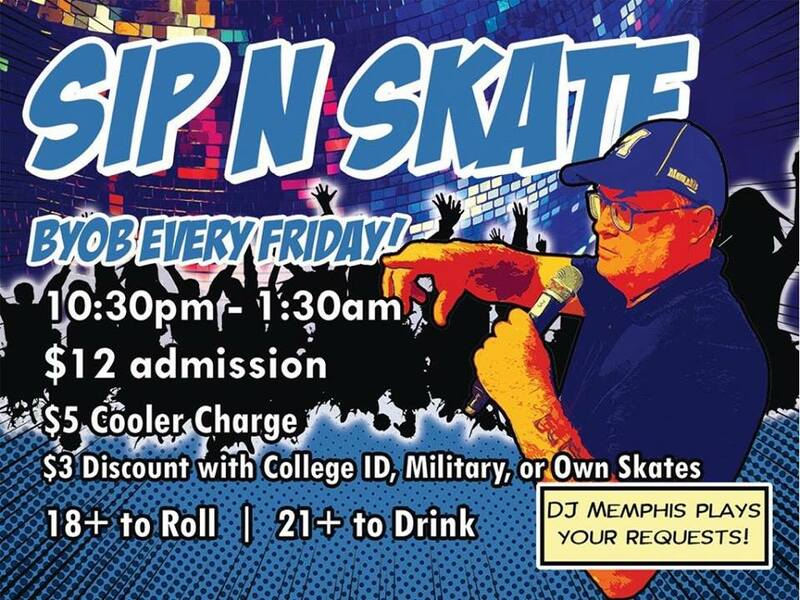 Sip N Skate BYOB is the new place to be for college students and young adults! Every Friday night, the lights go dark and the tunes heat up as DJ Memphis hits the 1s & 2s bringing the fun and games.Must be at least 18 to skate and 21+ to drink. $12 admission which includes skate rental. There is also a $3 discount if you have your own skates. $5 cooler charge. We offer $3 discount with valid college ID and military ID. Tickets: Skate Tickets. Hours are 10:30 pm – 1:30 am.